Our Expert Team Comes Highly Recommended You will be glad you chose Premier Fencing for your next yard and pool fence installation. Our team of highly experienced installers comes with years of experience in the fencing industry – experience that shows when we show up to complete your fencing project. 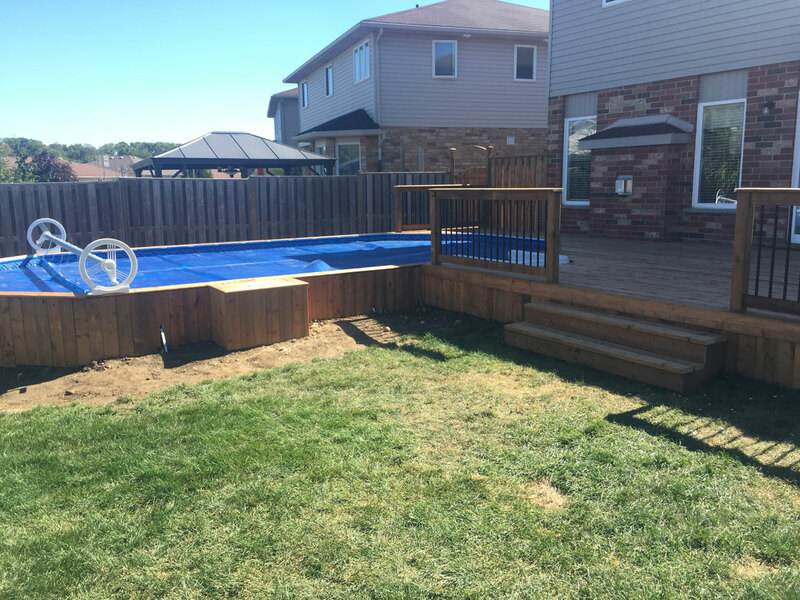 Premier Fencing has never wavered on their commitment to provide the best in quality and cutting edge materials and workmanship. 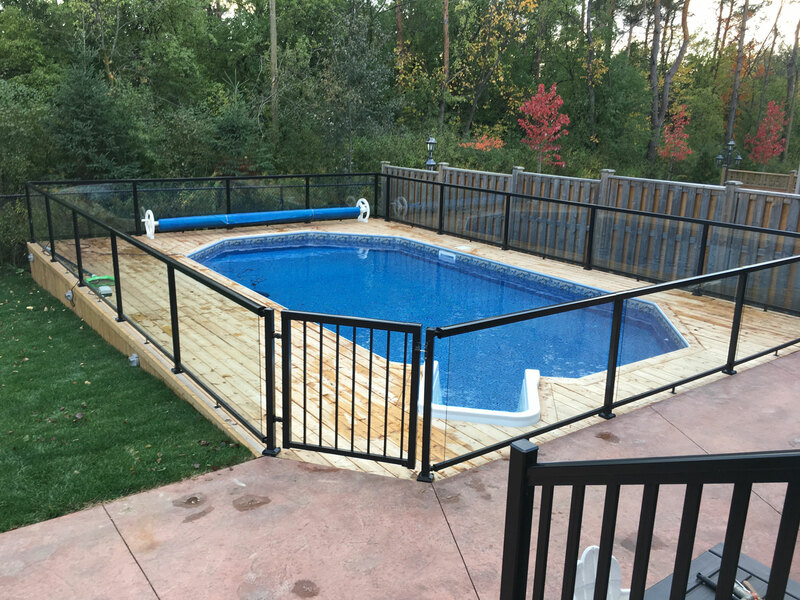 Backed by our 2-year warranty, there’s no reason to look anywhere else to start your pool fence installation and decking project. Although owning a pool is a definite luxury, it is one that does not come without worry. Whether you have pets, children, or weak swimmers in your household, a secure fence is a requirement when you have a pool. Fencing options today are limitless, so choosing what you need for your pool area may seem daunting. However, you can rest easy when you hire Premier Fencing to complete your pool fence installation. Our team will gladly walk you through the fencing options available to make your pool area as safe as possible. 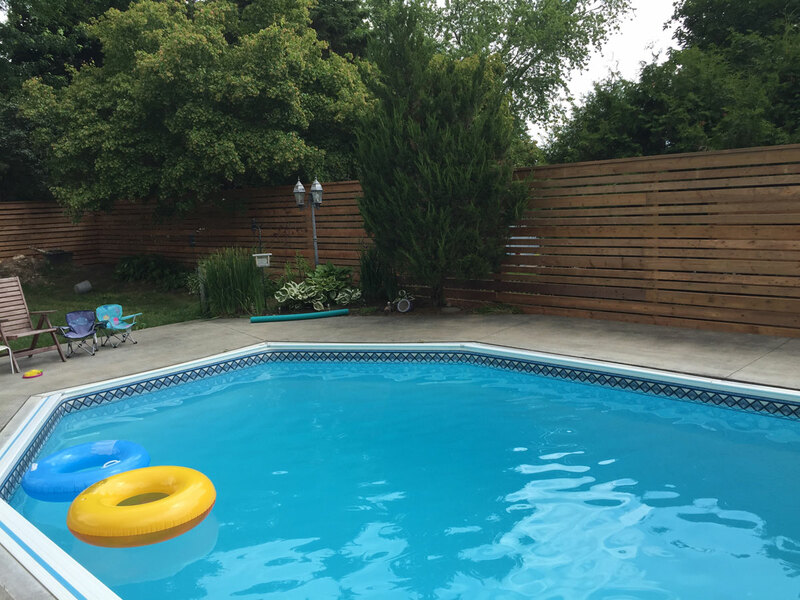 Like you, Premier Fencing wants to see you enjoy your pool in a secure, safe environment. We will work with you to make it happen within your budget requirements, as well. Chain Link Pool Fence Installations When choosing a security fence for your pool area, chain link material is one option to consider. Not only is it the most affordably priced, but this material is maintenance-free. For these reasons and more, this choice of material is a favorite among pool owners. For a pool safety fence that will last years to come, consider choosing chain link. Vinyl fencing is another option that is maintenance-free with no requirement for painting or staining. 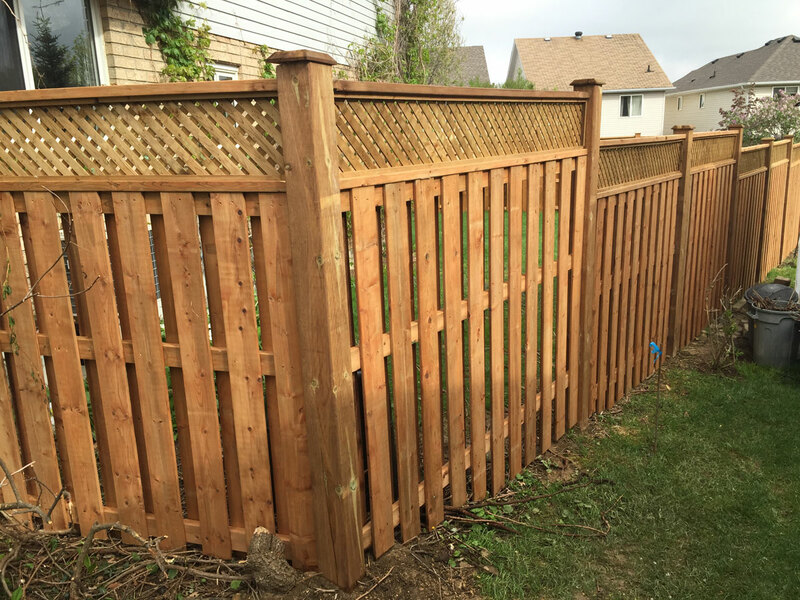 Because it will never crack, split, fade or rot, vinyl fencing will maintain its look for a longer period than wood and in most cases comes with a full life-time warranty. Premier Fencing offers vinyl fencing in various colors and styles and can show you exactly how this will look as your pool enclosure fence with onsite samples. For those who want a more upscale-like fence surrounding their pool area, we suggest using ornamental iron. Not only is it available in a wide array of styles to match your property’s aesthetic look, but Premier Fencing also offers customized gates and locks to suit your needs. Using local manufacturers, this style fencing is made with a heavy galvalume steel and protected by a high-gloss, polyester powder coating. 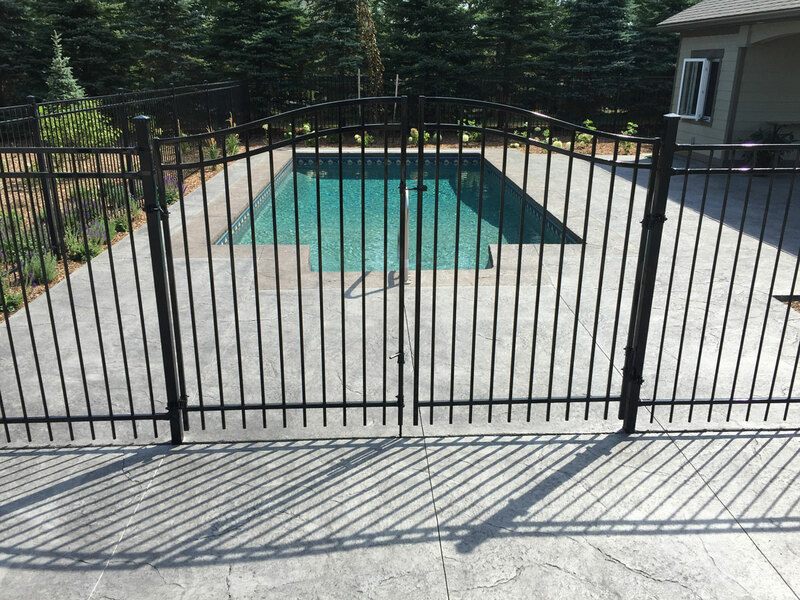 When choosing Premier Fencing’s ornamental iron fencing product, your pool fencing will withstand the harsh Canadian winters. Free Quotations for Any Project With no commitment required, Premier Fencing provides free quotations. Our helpful staff can help you narrow down an option for your pools’ safety fence, explaining the pros and cons of numerous materials and options. We will also ensure that the type of fencing product you choose will look great in your pool area and blend in nicely with your home’s current aesthetic appeal. Most importantly, we will provide you with various options to fulfill your budget requirements. 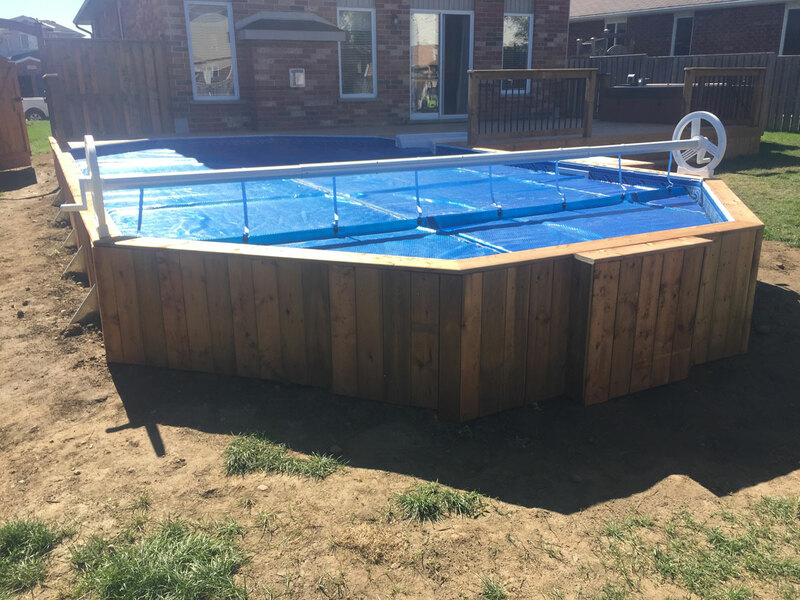 We work hard to meet all of our customers’ needs regarding their pool fence installation requirements and can guarantee that you will be happy with our work. Your #1 Choice for Pool Fencing Solutions! 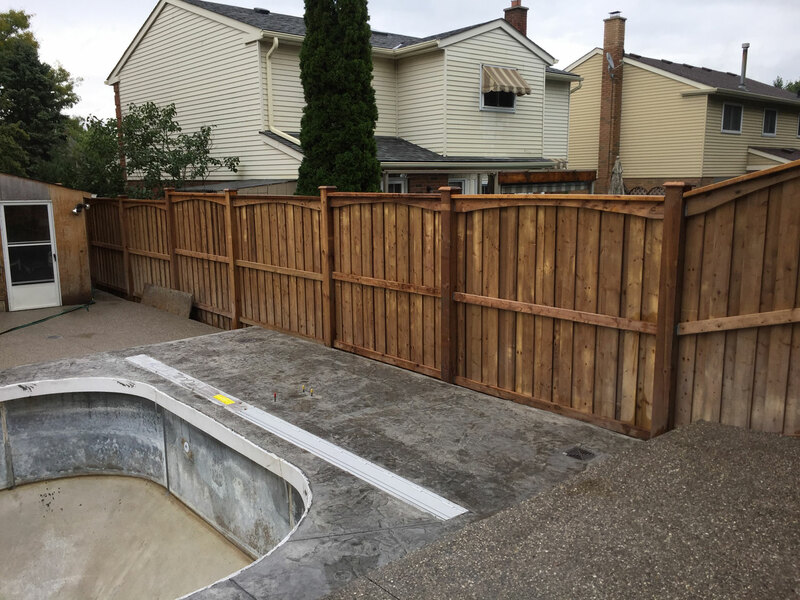 When contacting Premier Fencing, you can do so confidently knowing that we will bring only the best in service, quality and pricing to your next pool fence installation project. See for yourself, why our company has been around for over 90 years! Call us today for a free estimate at 519-500-5545 or fill you our online form below.